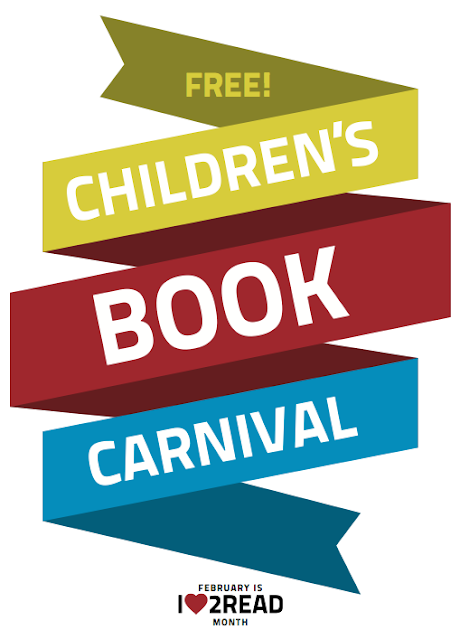 Join us on February 6th from 10 - 2 at the Wilder School (3345 Chicago Ave S, Minneapolis, MN 55407) for a FREE Children's Book Carnival! 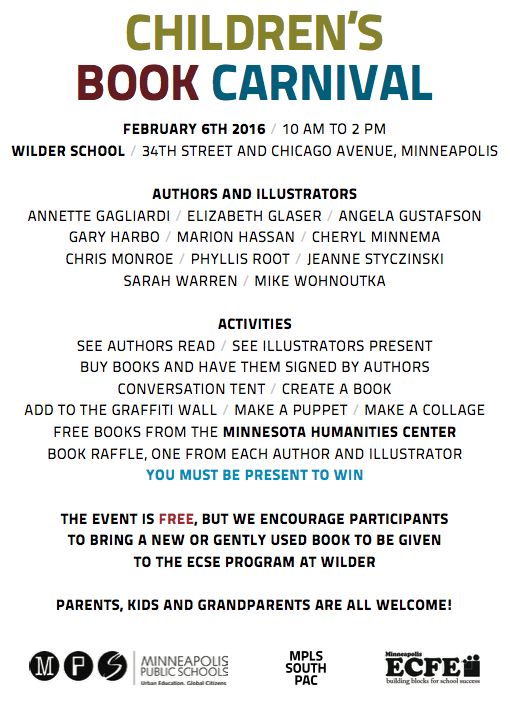 Meet Authors and Illustrators! Listen to authors read their own stories! Buy books and have them signed by the authors! Create a book! Get free books from the Minnesota Humanities Center! And More!